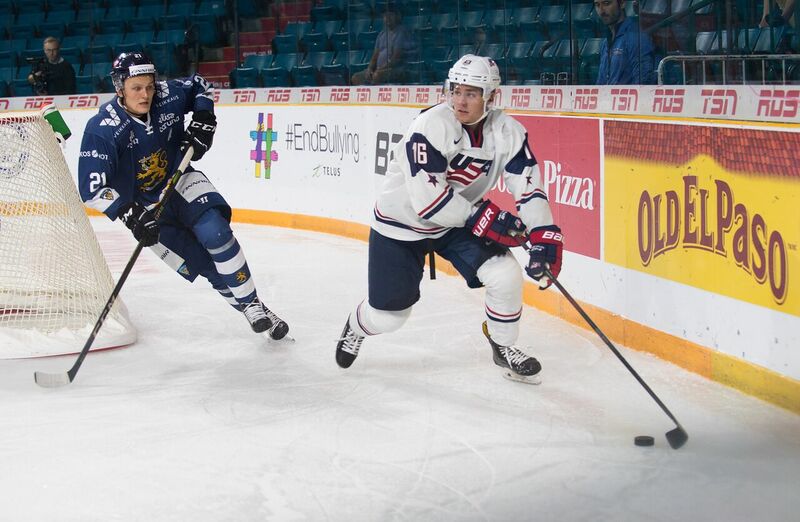 Drury and the Americans placed second after bowing out to Finland in the renowned international tournament’s finale on Saturday night. Drury, pictured here in the 2018 World Junior Summer Showcase, returns from Vancouver and Victoria, B.C., with a silver medal. 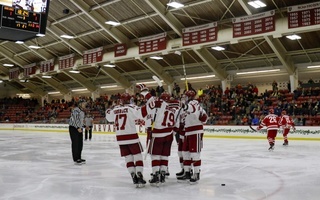 While the Harvard men’s hockey team returned from its holiday break in last Friday’s overtime win against RPI, freshman forward Jack Drury was battling in a game of his own 3,000 miles away. The rookie spent his four-week hiatus from collegiate hockey competing on international ice, suiting up for team USA in the IIHF World Junior Championship. Drury and the Americans earned a silver medal after bowing out to Finland in the renowned tournament’s finale on Saturday night. Kaapo Kakko punched in a rebound with just 86 seconds left in the tilt, seizing the 3-2 lead for his Finnish teammates and sucking the life out of a promising third-period rally from the United States. Drury, a Carolina Hurricanes prospect, played in all seven of his country’s games, often skating alongside San Jose Sharks draft choice Sasha Chmelevski. The third forward rounding out Drury’s line alternated between Providence College’s Jay O’Brien, a Philadelphia Flyers selection, and the expected first-overall pick in the 2019 NHL Entry Draft, Jack Hughes. Drury’s modest role on team USA’s fourth line was a testament to his squad’s depth. Once the 17-year-old Hughes hears his name get called in June, all 13 forwards will be NHL prospects, with nearly half being first-round selections. 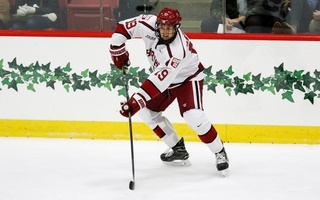 Drury has assumed a major role among Harvard’s center ranks this NCAA season, logging 12 points (4–8—12) through 11 contests and providing Crimson coach Ted Donato ’91 a certain two-way reliability uncharacteristic of a freshman. The Winnetka, Ill., native, while striving for gold alongside his American comrades, appreciates the magnitude of a silver medal in such a special international tournament. The World Junior Championship marks an annual celebration of junior hockey’s most elite echelon — one in which the United States grows its stake seemingly every year. Over the past few weeks, Drury was afforded the experience of skating for his country — an honor he shares with both his father and his uncle. The Harvard team, which returns to action on Tuesday when it hosts Boston University, will hope to regain Drury’s valuable services as soon as possible. Historically, the Crimson has given its players returning from the World Junior Championship some leeway as far as how immediately they rejoin to the lineup, given the strains of travel and high-octane hockey that accompany the tournament experience. Drury, however, would like to dress for the crosstown rivalry clash with the Terriers. Drury was one of a handful of 18-year-olds representing the stars and stripes this holiday season and is thus eligible for next year’s tournament. 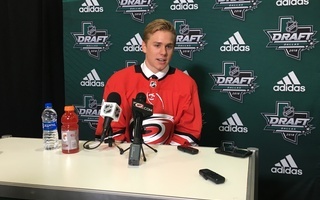 He is excited to bring his experience from this year’s silver-winning squad to the team in 2020, as he hopes to follow the footsteps of college teammate and fellow Hurricanes prospect, Adam Fox, by claiming a gold medal at the World Juniors.